Houghton Mifflin Harcourt, 9780544303164, 352pp. The Turners have lived on Yarrow Street for over fifty years. Their house has seen thirteen children grown and gone—and some returned; it has seen the arrival of grandchildren, the fall of Detroit’s East Side, and the loss of a father. The house still stands despite abandoned lots, an embattled city, and the inevitable shift outward to the suburbs. But now, as ailing matriarch Viola finds herself forced to leave her home and move in with her eldest son, the family discovers that the house is worth just a tenth of its mortgage. The Turner children are called home to decide its fate and to reckon with how each of their pasts haunts—and shapes—their family’s future. Praised by Ayana Mathis as “utterly moving” and “un-putdownable,” The Turner House brings us a colorful, complicated brood full of love and pride, sacrifice and unlikely inheritances. It’s a striking examination of the price we pay for our dreams and futures, and the ways in which our families bring us home. "As a hate-to-admit-it only child, I have always been fascinated by siblings, and The Turner House artfully sketches no less than 13 of them—plus matriarch, patriarch, grandchildren and a handful of supporting characters. Beyond this character balancing act, Angela Flournoy’s novel is also an impressive work of place, illuminating not only the eponymous house, but also the larger city of Detroit, from the Great Migration through white flight and early gentrification. "—Literary Hub, "Best Books of 2015"
"Detroit is a city often portrayed as past rescue, irrevocably blighted. But Flournoy’s debut novel retrieves it from this through vivid details and equally vivid characters. "—Time Out New York, "Best Books of 2015"
"Sensitively and powerfully, [Flournoy] tells the story of the Turners of Yarrow Street, the 13 children they raised and their east Detroit neighborhood that’s hit hard by the city's economic troubles. Jumping back and forth across 50 years of challenges and change, love and loss, ties that bind and memories that haunt, Flournoy creates a vivid portrait of fictional characters in a real city. This is essential reading. "—Detroit Free Press, "The Turner House is a must-read novel of 2015"
"With the matriarch of a family of 13 siblings in failing health, those who remain close enough to their empty childhood home — in a nearly abandoned East Side Detroit neighborhood — must hash out what to do with the house. Between nostalgia, fraud, secrets and an old ghost, there are as many competing, confounding, unappealing ways forward for the Turners as for their city. "—Denver Post, "Best Fiction Books of 2015"
"It's hard to believe that this moving, beautifully written novel is a debut. 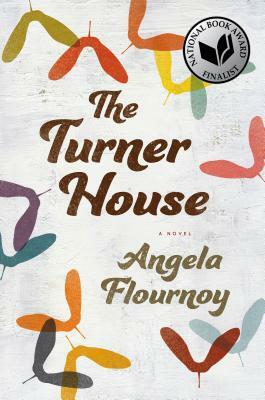 In The Turner House, Flournoy tells the story of a large family in Detroit trying to figure out what to do with their childhood home, which has depreciated in value because of urban decay. "—Men's Journal, "The 35 Best Books of 2015"